Videopura’s video quality optimization products provide industry leading encoding performance with an average of 50% reduction in file size without a noticeable drop in video quality. The products are based on many years of research on human visual perception, video compression, and analysis. 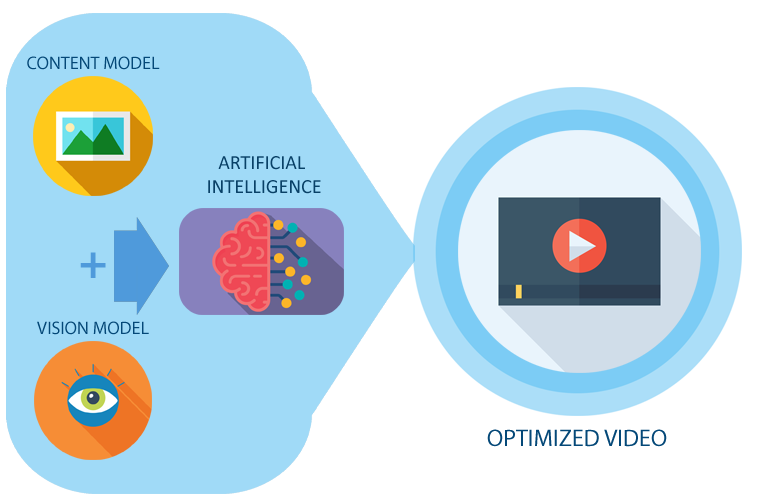 Artificial Intelligence models are used for realtime scene level optimization for live streaming. Learn more about how puraStream™ for live video and puraCode™ for on-demand can reduce your opex and increase profitability. Future of the video. Now. Novel technology for the unmatched video experience. puraCode and puraStream transcoders deliver highest quality video streaming experience in the industry and reduce the video size by an average of 50%. Support for multiple screens is built in with scene level quality optimizations. Standard or custom bitrate ladders to meet customer needs. Stream directly to your social media channels on Facebook, YouTube, and Twitch. A smaller size videos load faster without compromising quality. Better SEO, retention, and consumer experience. Consumers will spend a lot less on their data plans and have a better experience watching their favorite videos!